When I mention that I'm eating turkey burgers I generally get the same types of responses. "Are you on a diet?" "Turkey burgers just aren't good because they're so dry." "I just don't know about this health food junk, what's wrong with beef?" I'll be perfectly honest with you. 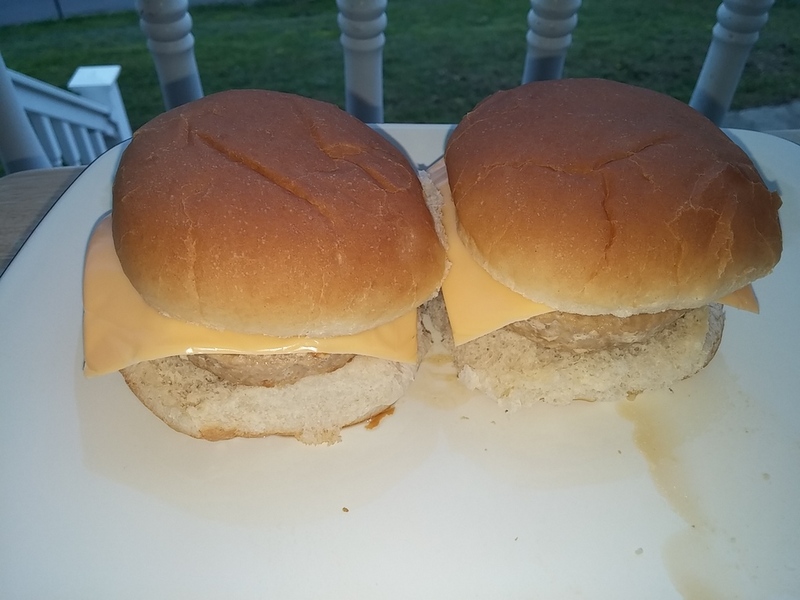 If these happen to be your go to responses to the words "turkey burger" then you're either missing an educational experience or someone has done you a sizable disservice with pitiful cooking because these things are delicious! Yes it is true that turkey can be dryer than beef but there are simple measures to make that not so. Turkey burgers are generally healthier for you but just because it's "healthy" doesn't mean you have to give up quality and flavor. 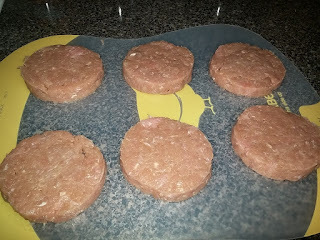 If you follow these simple instructions you too can keep your burgers moist and flavorful while cutting back the calories. 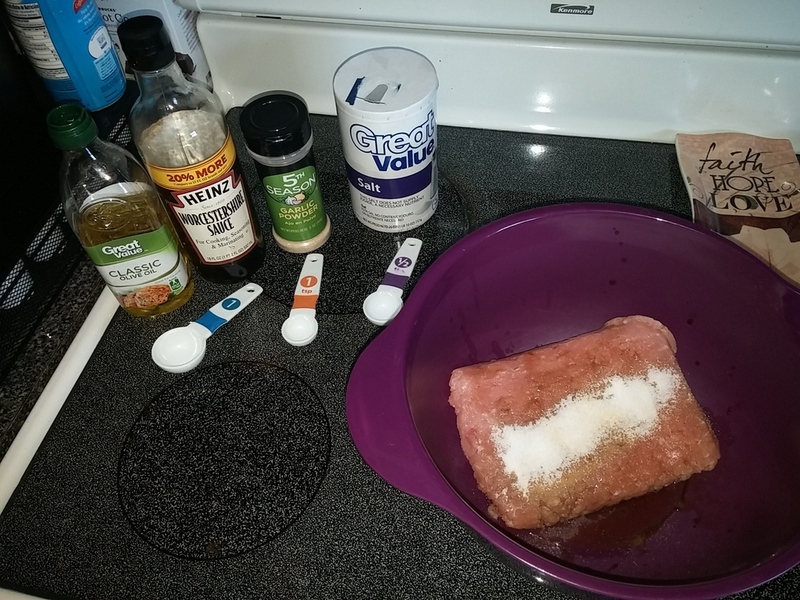 In a large mixing bowl, place the ground turkey, 2 tablespoons of Worcestershire sauce, 2 tablespoons of olive oil, teaspoon of garlic powder, and 1/2 teaspoon of salt. I've found the best mixing tool is to just use your hands. 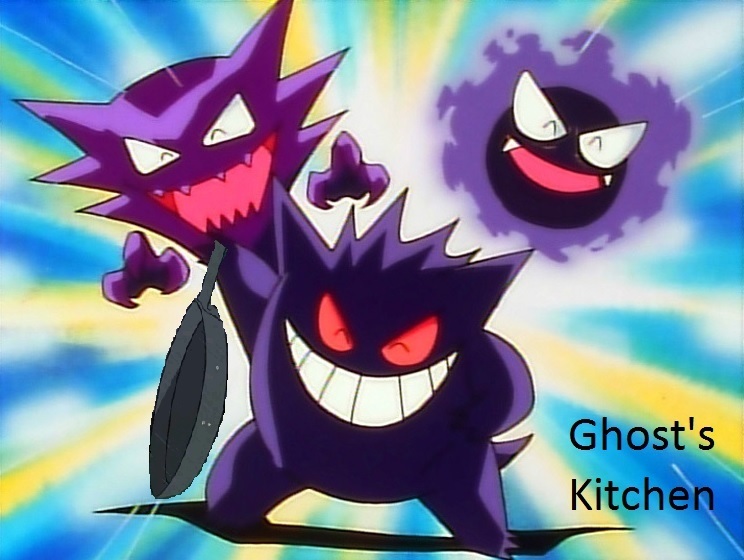 You'll be using them in the raw meat a lot so might as well get used to it now. Mix up these burgers until the seasonings are mixed thoroughly and you see few if any lighter pink portions where no seasoning and sauce has gotten. 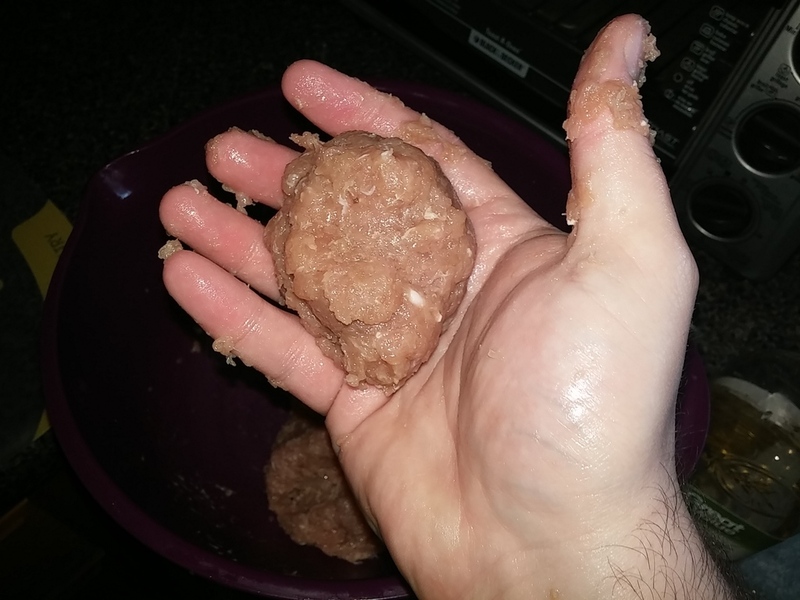 You can use a potato masher but I've found that using a tool just mashes up the meat too much and it becomes less of a burger and more of a paste making it more difficult to cook due to the density. This one is mostly up to you but at this point you'll need to get a decent sized ball of meat out of the mixing bowl to begin making your burger patties. In all actually the ball I have above was almost too big because you should be able to get around six burgers from this mixture total. However if you like thin burgers or really thick burgers then do what you like and your burger yield will obviously be different. 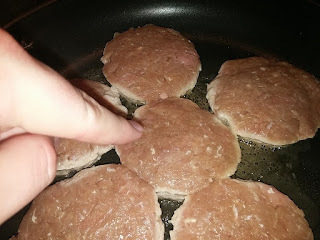 I have a very simple patty maker to create my burgers, but if you don't have something like that then you can simply flatten it out and make a patty shape with your hands. No one said it has to be a perfect circle or anything. 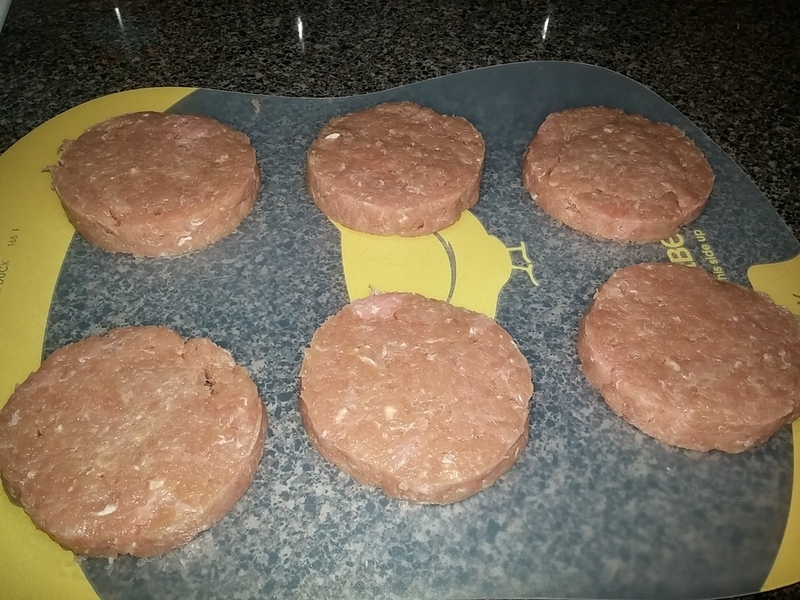 Place your raw patties on a spare plate or a cutting board so that you don't get anything all over your counter. 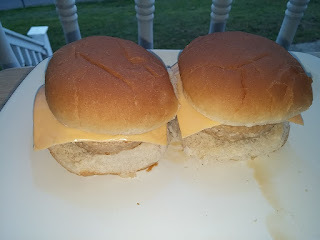 Again, I always try to go for 6 patties but your preferred thickness could make that change. Spray your large skillet with cooking spray and place all (or as many as you can fit at a time) of your patties into the skillet. Turn the heat to a medium high with it being a little closer to the medium setting. LEAVE THEM ALONE at this point. Just let them sit there until the next step. 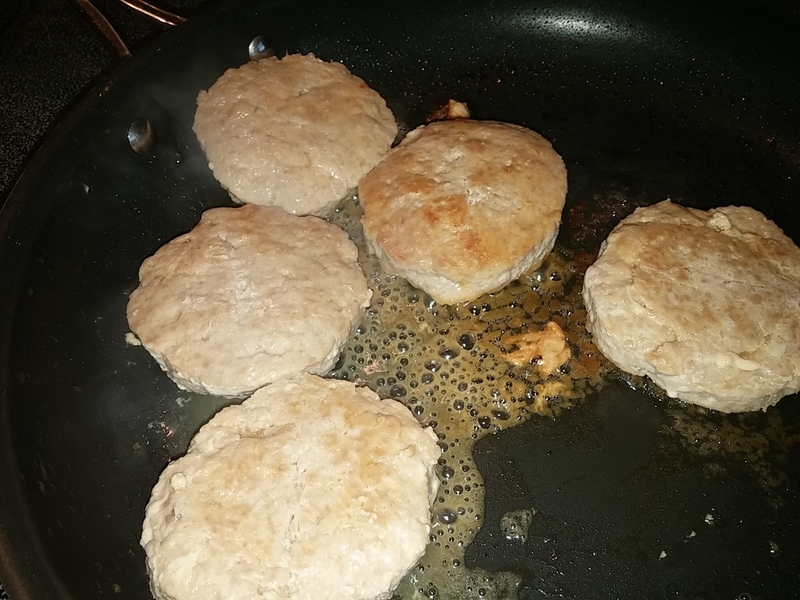 The best thing you can do for your turkey burgers is to just let them sit and flip them over as little as possible. 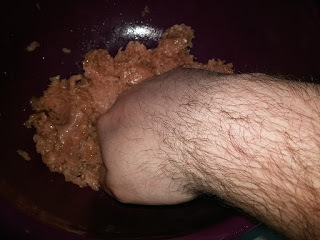 After a while the sides will begin to cook and white will begin to show along the top of the burger around the ring such as in the one I'm pointing at and the one behind my hand you can barely see. 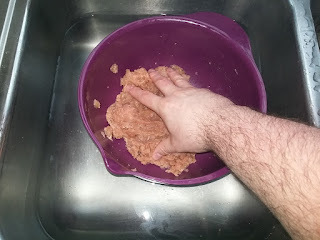 Once they reach this point (around 3-4 minutes) flip them over and leave them for an additional 3-4 minutes. After you've cooked both sides for 3-4 minutes each it becomes harder to know when your burgers are done. Take your turner and gently press down on top of the burger. If it feels like a sponge then it's probably not done but if it's beginning to feel firm then you're close to done if not done already. This just takes practice and if you need to, simply place a small cut in the center of one and check the color. This will unfortunately release some of the juice and oil that was cooked inside the burger and make it a little more dry but with the amount of olive oil we had it shouldn't turn your burger into the Sahara Desert. 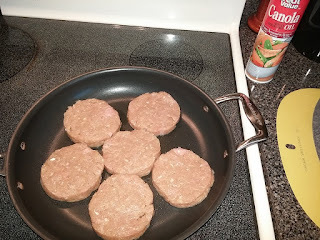 Practice makes perfect and no one is going to fault you for giving them a burger with a small cut in the center if it means you haven't given them raw meat to eat. 8. Add your favorite burger toppings and enjoy! 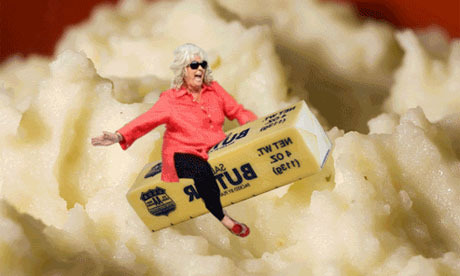 As stated in my ingredients I just use cheese and mayonnaise with my burgers. Sometimes the garlic powder can be a bit strong so you'll want that cheese and mayo to mellow it out a bit but if that's not your thing then do what you please with them. I hope that you and your family enjoy these burgers and if you are one of those who weren't sure about turkey burgers that this will change your mind.